One of the first museums created for the enjoyment of the middle class was the Shakespeare Gallery, opened in 1789 by John Boydell. 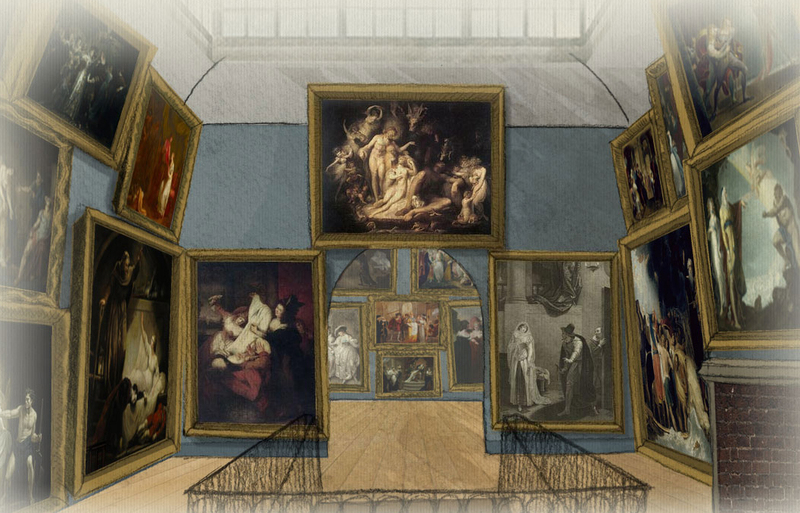 Each of its paintings depicted a different scene from a Shakespeare play, and the museum even had a shop on its lower level for purchasing souvenir prints. It closed in 1805, its collection of paintings dispersed through an auction, and its building at 52 Pall Mall was torn down in 1870. 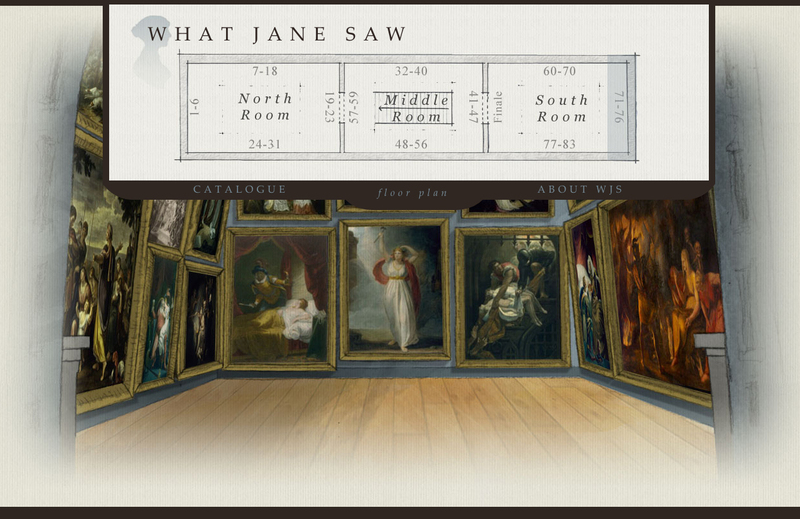 The University of Texas (UT) in Austin recently launched a new digital re-creation of the gallery, reimagining a moment in 1796 when author Jane Austen visited its three rooms. As Jennifer Schuessler reported for the New York Times, the gallery wasn’t just significant for Shakespeare but for museums, marking “a crucial moment in the birth of modern museum culture, with its democratic appeals to the culture-hungry middle class.” This aspect of the gallery is also the focus of a recently published book, Exhibiting Englishness, by art historian Rosie Dias. 2016 is a major year of Shakespeare celebration in honor of the 400th anniversary of the Bard’s death. 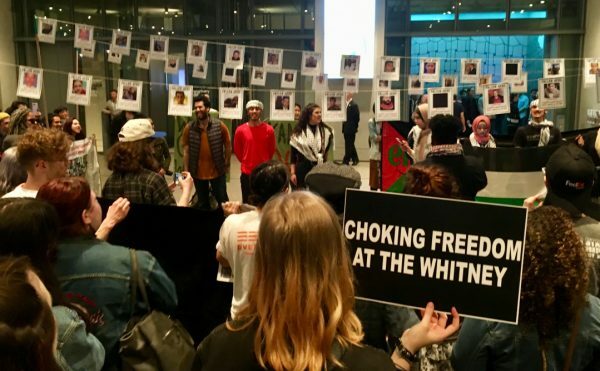 Professor Janine Barchas in the UT Department of English led the What Jane Saw project in collaboration with students and staff at the Liberal Arts Instructional Technology development lab. 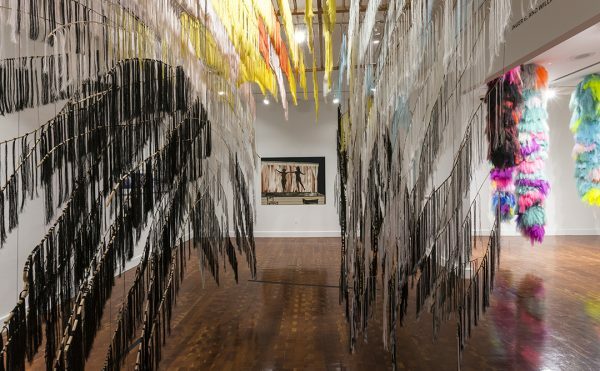 Retrieving the appearance of the Shakespeare Gallery — or “The Shakspeare Gallery” as Boydell archaically called it — wasn’t as easy as looking at a catalogue or contemporary paintings of the space, although those were researched. Barchas and her team examined engravings of missing paintings, canvases that had been chopped down from their original sizes, and Boydell’s payments to different artists to determine painting dimensions. 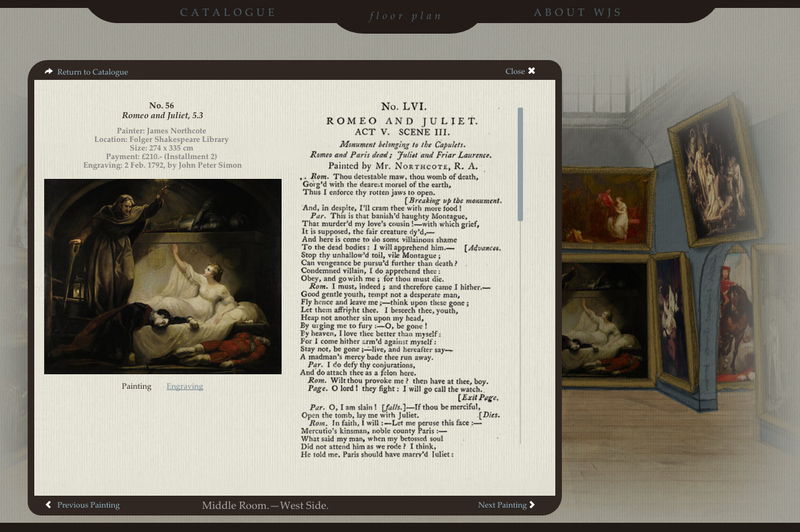 The Shakespeare Gallery builds on a previous What Jane Saw project, which focused on an 1813 exhibition of paintings by Joshua Reynolds, also viewed by Jane Austen. 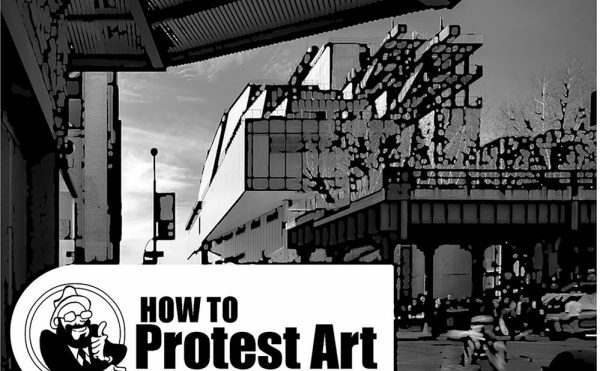 That show happened to take place at 52 Pall Mall following the closure of the Shakespeare Gallery, so the digital architecture was already in place to install a new group of paintings. 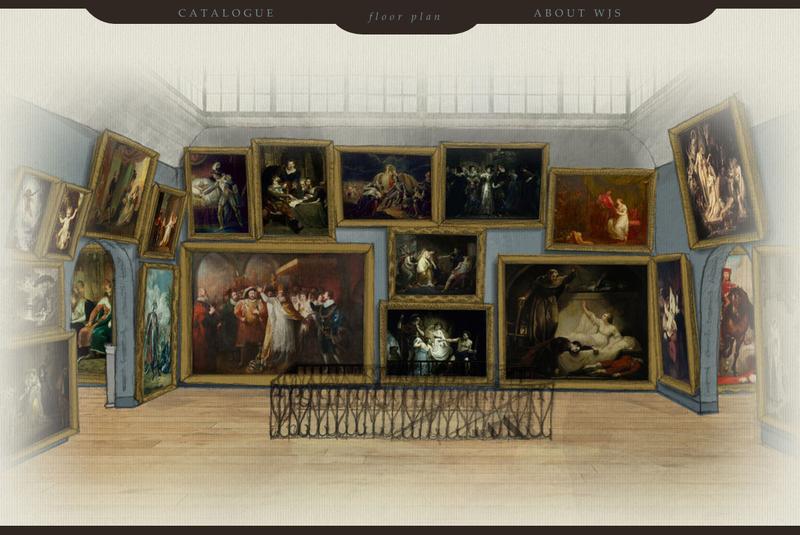 By clicking through an interactive floor plan, online visitors can stroll through three sunlit galleries, which were originally accessed by a central stairway, and select art by Reynolds, Henry Fuseli, Benjamin West, and other British painters, with accompanying texts on their corresponding Shakespeare scenes. It isn’t exactly like stepping into the past, but it’s as close as you can get to a comprehensive portal to this 18th-century moment, when literature met the development of the modern museum. 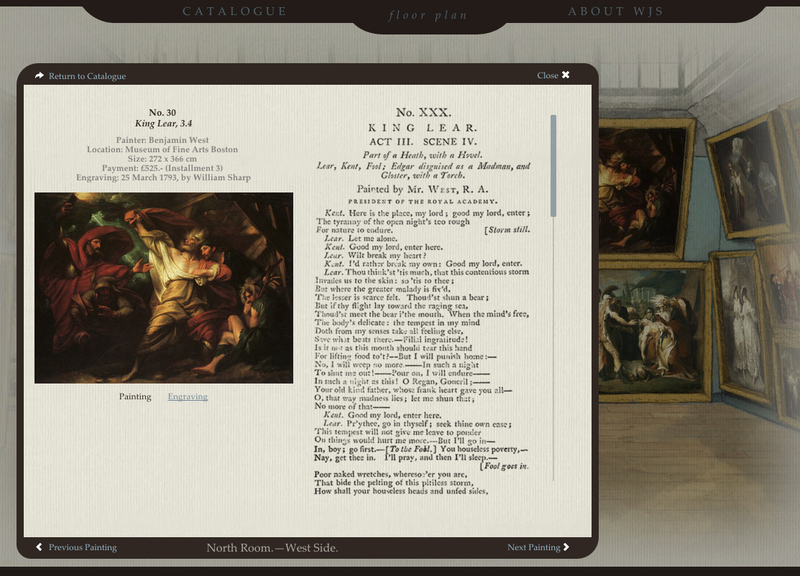 Explore the digital re-creation of the 1796 Shakespeare Gallery online at What Jane Saw, from the University of Texas at Austin.